The following was originally posted on Lisa Russell’s blog. It is reposted here with permission. In the last seven years of my work as a filmmaker, I’ve filmmed three short stories on a devastating women’s health issue called obstetric fistula – a childbearing injury that leaves women leaking urine or waste or both, continuously, for the rest of their lives. I filmmed in Niger for “Love, Labor, Loss”, in the DR Congo for “Mama Madou” and in Liberia for “Freedom from Fistula.” (Links to these films are online.) In all locations, it was incredibly heartbreaking to talk to women who are so ashamed and psychologically distraught about their condition that they live their lives in total isolation, away from their communities and sometimes even their families. The flip side of this tragic story is that a growing interest in the issue has resulted in many medical programs that offer free fistula repair services. And when a woman gets a successful repair, her life takes turns around and she can begin to live her life with dignity and purpose. It transforms her in every way possible. I’ve seen it over and over again and it’s mindblowing. Unfortunately though, in really remote places – like the places I’ve filmmed – women are so far from the facilities that provide the surgeries (and many cannot afford the transportation to the facilities) – they never seek help and live with their condition for the rest of their lives. That’s why it was so exciting for me to shoot this new film on how mobile phones are changing the lives of women living with fistula. In Tanzania, where I just spent over a month working on some exciting new projects for maternal health, there is a new program by the CCBRT hospital which uses a country-wide network of “ambassadors” (healthcare professionals, or other community leaders) and a mobile financing scheme by Vodacom (called M-PESA which sends transport funds by phone) to pay for a woman’s transportation to the CCBRT hospital in Dar es Salaam. 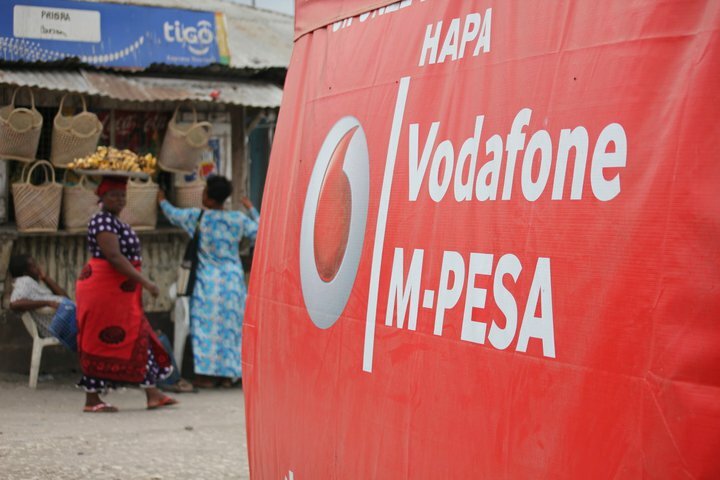 It takes only a few minutes – the funds are transferred from the hospital, the “ambassadors” visit a M-PESA agent to collect the funds, and the woman gets on the bus and makes the long journey to the hospital. Once she is there, she receives free lodging, food and treatment. This simple process of transferring money by phone has helped double the number of women receiving treatment at the CCBRT center and the hope is that it will help not only treat the estimated 2,000-3,000 new cases of fistula that occur each year in the country, but it will also allow the hospital to address the backlog of women who have been living with fistula (I filmmed two who spent over 40 years leaking! ), in essence making fistula obsolete in Tanzania. I can’t really articulate how incredible it feels to be able to tell a more positive story about these women and this issue. For the most part, it’s been a primarily heartbreaking story but this is allowing me to witness and document how technology is making progress for women and maternal health in an entire country. I’m really honored to be so closely involved in this issue and to see first hand the good work that so many people are committed to doing and the effect it is having. If you want to learn more about obstetric fistula, visit UNFPA’s Campaign to End Fistula at www.endfistula.org. If you want to learn more about CCBRT and the great work they are doing, visit here. Thank you to UNFPA Tanzania, CCBRT, the M-PESA ambassadors and all who helped make this project possible. I’m excited to start editing! * We just received word that the film has been accepted to the inaugural GSMA Mobile Health Summit occurring in Cape Town, South Africa from June 6-9, 2011.